They began in the 1960s as a mechanism of change, a sort of corporate antidote to the turbulence of the outside world. But though times have changed, the concept of Employee Resource Groups (ERGs) has taken root. These days they are everywhere. Employees can now join organizations within their own company, with the benefits of membership ranging from mentoring and career guidance to volunteer work and social activism. Roughly 90% of the Fortune 500 companies boast ERGs of some sort. Though they might go by different names, such as Affinity Groups, Business Innovation Groups, Employee Network Groups, and more, they share a common denominator. Each is meant to serve as a platform for the underrepresented. Just who do employee resource groups represent? According to a recent survey, the top three ERG focus areas centered on race/ethnicity, sexual orientation, and women. Veterans and those with disabilities were next on the list. Religion-based groups made up the smallest percentage. 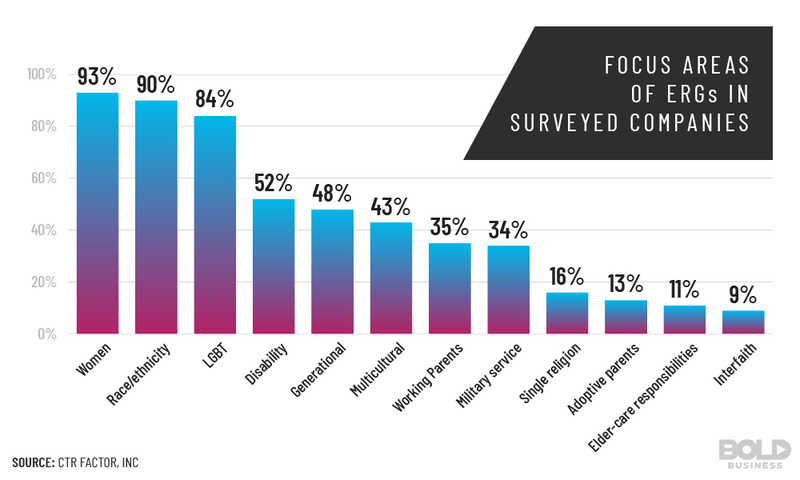 A breakdown of the most common focus areas of employee resource groups. What Are the Benefits of Employee Resource Groups? For employers, they can help raise awareness of social issues, drive employee satisfaction (which can positively affect productivity), and enable a business to keep its talent. Business areas most commonly impacted by employee resource groups. Employee resource groups are usually led by elected members. They are also supported by voluntary effort on the part of engaged members and sponsored by specific senior executives who are assigned to each ERG to provide guidance and visibility. In addition to the time and energy invested by all these stakeholders, a company’s diversity office typically provides a budget to each ERG to fund their activities and events. Employee resource groups can take a fair amount of monetary and non-monetary resources to organize, lead, maintain and support. Most companies take a leap of faith in terms of supporting them because, on a moral and ethical level, they are the right thing to do to provide an inclusive environment for diverse employees. But are ERGs truly worth the cost? Do the resources spent translate into any measurable metric of performance? Gauging the effectiveness of an employee resource group can be a tough nut to crack. But there are a number of factors that can be considered, and when taken as a whole, the numbers crunched can give a fairly accurate reading. Market Share: What percent of the employees at your company from a given constituency are members of the ERG centered around that particular constituency? In other words, how many LGBT employees are members of the LGBT ERG, how many women are members of the women’s ERG, etc.? The higher the percentage, the greater is the likelihood of engagement. MindShare: What percent of the members of the ERG are actively involved in doing the work of the employee resource group? In other words, how many members of the ERG are participating? The higher the number, the greater is the likelihood of successful execution of initiatives being undertaken by the ERG. Heart Share: What are the engagement scores of ERG members relative to non-ERG members on the company survey? The higher the positive differential, the greater the likelihood of retention of members. Events: How many development events are organized by the ERG in a year? Are there many ERG-related events or just a few? The greater the number of events, the greater the likelihood of developmental opportunities for members. Attendance: What is the average percentage of ERG members that attend an event? The greater this number, the greater the likelihood of developmental impact for members. Sponsorship: What percentage of ERG members are actively sponsored by executives? How many receive guidance and mentorship from an executive member of the employee resource group? The greater this number, the higher the likelihood of professional progression of members. Areas of Impact: How many different areas within the business and the community does the ERG have projects, e.g. 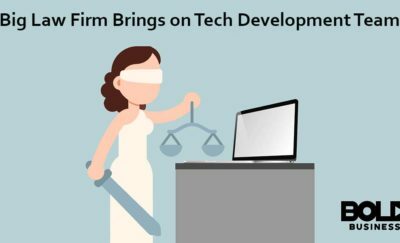 recruiting, product development, onboarding, etc.? 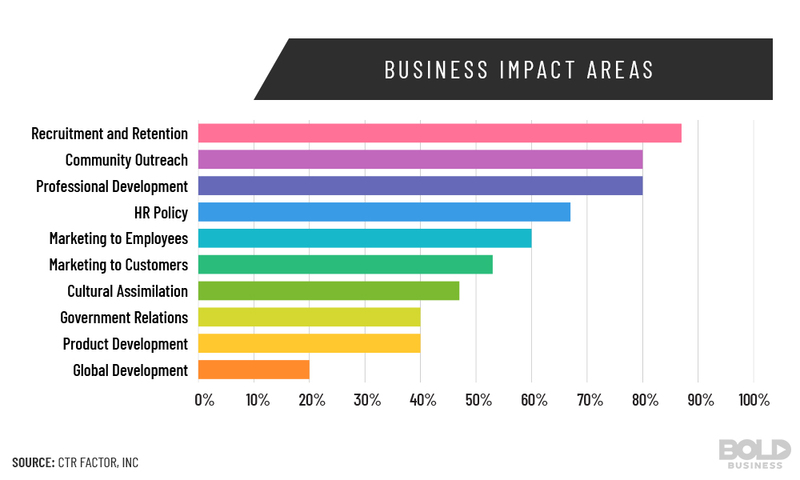 The larger the number of areas, the larger the breadth of the business impact of the ERG. Metrics: On how many quantifiable financial metrics is the ERG able to show impact e.g. cost per recruit, on-boarding cost per new hire, revenue generated by product re-design? The more the metrics, the larger the depth of the business impact of the employee resource group. Impact: What is the extent of the impact on chosen metrics made by the ERG, e.g. improvement percentage in cost per recruit, onboarding cost per new hire, revenue generated, etc.? The larger the percentages, the greater the likelihood of robust funding for the employee resource group. Favorability: What percentage of different stakeholder groups, e.g. ERG members, leaders, managers of members/leaders, sponsors, non-members, non-sponsors, and support personnel, have a highly favorable view of the employee resource group? The higher this number, the higher is the likelihood of sustainability of the employee resource group. Now tally up the points. The following totals should point towards the effectiveness of your business’ employee resource groups. For instance, if the sum points of your ERG’s market share, mindshare, heart share, events, attendance, sponsorship, areas of impact, metrics, areas of impact, and favorability is 76 or above, your ERG is working fantastically and is a definite value-add to your company. Suri Surinder, Founder and CEO of CTR Factor, Inc.
Mr. Surinder is co-founder & CEO of CTR Factor, a minority-and woman-owned advisory services firm with a successful 9-year track record of providing one-of-a-kind speaking, training, assessment, coaching, consulting and digital services to 140 companies in 12 different industry sectors on the topics of leadership, diversity, and inclusion. 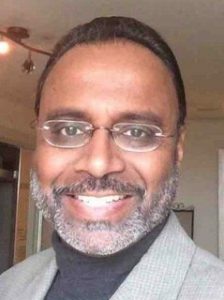 Mr. Surinder also serves as a Strategic Content Partner to Bold Business on an innovative learning platform for behavior change called Nuggets Training, and as CEO of the CTR Factor Leadership Institute at Diversity MBA magazine. Mr. Surinder’s overall experience spans 30 years as an executive, consultant, board member, author, entrepreneur & professor. His Linked-in profile has earned 2,750+ endorsements in 50 different competencies. His Linked-in posts have garnered 1.5 million global views, & he has 51,000+ connections & followers combined. He holds a BS in Civil Engineering, MS in Structural Engineering, and an MBA in Marketing.